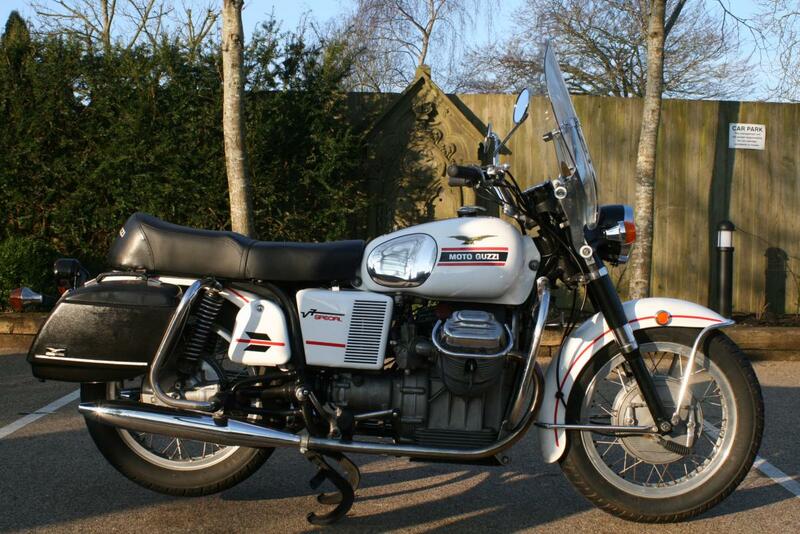 We are delighted to be able to offer you this fabulous 1970's V7 Special. A gent amongst gents. A great addition to any bike collection out there. Offered in very good condition, but with room for improvement. Fantastic Moto Guzzi V7 Special. Imported to the UK from Italy in 2008. Offered in very honest and genuine condidtion. It is not totally original, but there again not many 48 year olds are!! This bike will be fully serviced and MOT'd prior to handover. The 1970 Moto Guzzi V7 Special uses a 757 CC air cooled four stroke longitudinal V-Twin that made 51 HP with a 4 speed transmission and shaft drive. Hydraulic front forks, coil over rear shocks, drum brakes front and back and a hefty weight of 530 LBS wet made for a pretty smooth and steady ride. With a near 6 gallons of fuel aboard this is a true long distance cruiser. Thanks for looking! !